One of the holiest moments of my life was spent watching an Easter sunrise at Delicate Arch in Moab, Utah. It was fifteen years ago, and this is where and when I first realized I could fall in-love with a landscape, a place as "other" as other could be, a place that both squeezed my heart and made it ache. My BFF and I were just beginning our vacation, so this was before I had any inkling that I would leave New York City and move to Moab for a year, meet my husband, or write a novel. We awoke in darkness in our cabin at The Lazy Lizard Youth Hostel (the prototype of the hostel in Edges) and made our way up the windy roads of Arches National Park to greet the dawn. We were in the perfect time and place to watch the sunrise in action. Perhaps Easter got it's name from goddesses of the dawn: the Greek Eos and the Anglo-Saxon Eostre (East-ra)? There is so much layering and absorption of other traditions/ religions into this dominant Christian culture. Yes, it was holy, walking over the sandstone and up some rocks, waiting, for the sun to rise above the arch on top of the world, at the end of the world, in another world. The dawn, like springtime, promising new beginnings and fertility of ideas. I was finally going to find out what I was made of. And I did, I still am. I am always learning and growing, even when it seems like I'm stuck or I've lost my way. Springtime is finding our way again. I grew up in an Episcopalian seminary with a Father for a father. I went to church almost every day throughout my childhood and there is no way that Christianity hasn't informed my life, and yet . . .
And yet I was lost. I had to find my own way with my own relationship to a Higher Power. And I periodically find that I am lost only to be found again with a new sense of awe in the universe. This is why I love other stories of the death and rebirth of kings, the return of Persephone to light, the eggs and bunny rabbits symbolizing birth and fertility. So what are we giving birth to in our lives right now? What has been planted and needs to be watered? What are we going to pay attention to? What is going to grow? *No references to Twilight here. Lazy Lizard, good name! 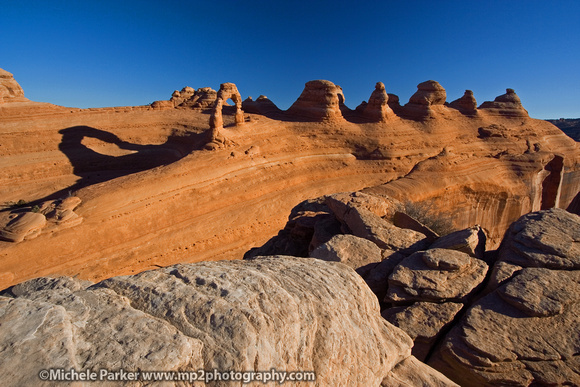 I love Utah too, with all of its otherworldly landscape. If you like that, check out Carters of the Moon Natnl park. I think it's in Idaho. Worth the trip!!!! I was raised a Quaker, and attended Quaker school and meeting every week. I still love their meditative worship and their social activism. Yet I came to an understanding of a higher creative force through reading theoretical physics-in other words, through science. Happy spring rebirth to you. I would love to go to Craters of the Moon someday - so many amazing places! I meant CRATERS of the Moon! Hope you have a fabulous spring--it's nearly summer here, but we've been blessed with actual spring weather this weekend. Prioritizing is tough! I struggle with that too . . .
You always make me smile Ian! Thanks so much for this post. I love your writing. I truly love the phrase; "And I periodically find that I am lost only to be found again with a new sense of awe in the universe." I come from a very religious background. At times I felt there was only one way to worship and that was in a church listening to a boring lecture on hell, fire and brim stone while my bff snored. I used to think that what kept me attentive was faith but in actuality it was fear. As i grew I realize that I concentrated more on the fear of hell rather than the love of God. It was so refreshing when I was able to embrace peace. When I learned to be still and enjoy the peaceful offerings of nature, animals, plant and people, I learned to love myself and I gained a deeper love and understanding of my Higher Power. Again, thank you for this beautiful post. "And yet I was lost. I had to find my own way with my own relationship to a Higher Power. And I periodically find that I am lost only to be found again with a new sense of awe in the universe." How did you get inside my head? This is a perfect--absolutely spot on--description of my spiritual journey. And here I thought no one would ever understand . . .